Stan Evans was an iconic figure in the Society in the late 80s and 1990s and did much to convert The Vellum magazine into a very readable presentation. This is not to criticise the efforts of any previous editor or worker on the Society’s magazine, but Stan recognized and adopted more modern technologies to create the first major changes in The Vellum since it was first published in 1961. Stan joined the Society in 1986 and took over the editors job two year later in 1988. Stan also ran the Warrington branch of the GFS at The Patton Arms in Warrington and this was always a popular meeting with some really good players and an always enthusiastic audience. 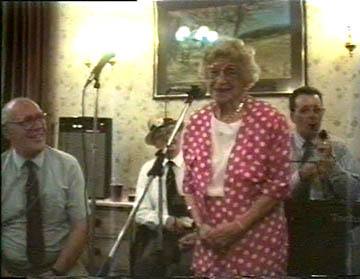 Stan, along with the GFS committee of that year and Alan Randall, was heavily involved in presenting the 1991 George Formby 30th Anniversary Exhibition which ran for about three months in Warrington and achieved visiting attendances over the period of around 35,000 people. The GFS membership doubled at this time as the Warrington Exhibition created the gateway for many Formby fans (myself included) to join the Society. He was also the driving force behind much TV exposure in the early 90's. After Stan retired from Vellum editorship in 1994 he continued to promote his own North West Newsletter which ran for a few years and was well received by GF fans in the North. 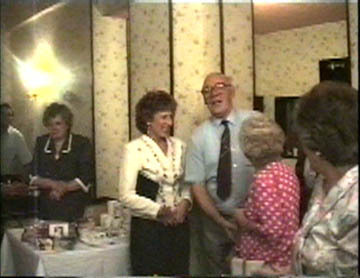 Stan spent the last years of his life in a nursing home but never lost his interest in George Formby and was always happy to watch the convention DVDs which GFS member Pat Ralston made sure he received. On behalf of all GFS members I extend sincere condolences to Stan's family.